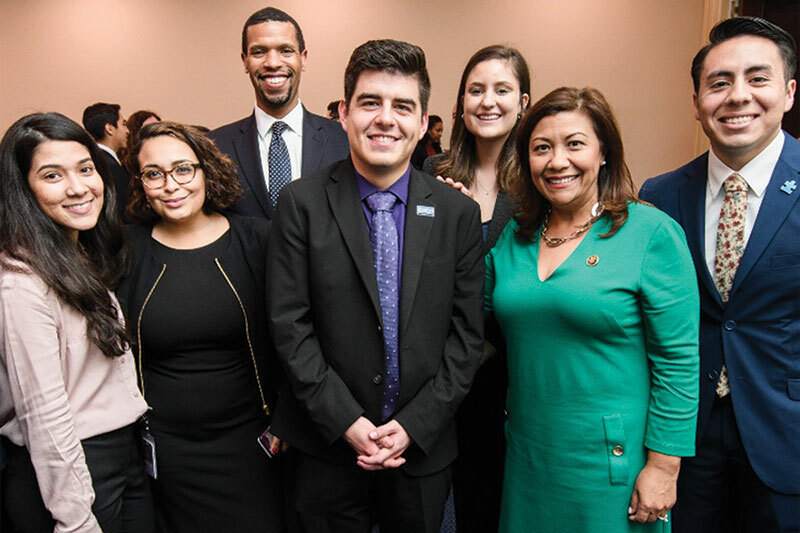 Political Science major interns in Washington, D.C.
Michael Herndon poses with Representative Norma Torres and her staff. "The internship was challenging, but rewarding. Initially it was difficult adapting to the hyper-speed work environment of the Hill, but eventually I got comfortable running around like everyone else," says Michael Herndon. Herndon, a Political Science and International Studies major, minoring in Chicano Latino Studies, hopes to have a career in diplomacy so was particularly happy to be chosen to work with Representative Torres who has seats on the House Foreign Affairs Committee and Western Hemisphere Subcommittee. Herndon applied for the internship through the Congressional Hispanic Caucus Institute (CHCI), a non-profit, non-partisan organization that provides leadership development programs and educational services to students and emerging Latino leaders. "The process to apply for and get placed in an office was long to say the least," explains Herndon. "For start­ers, the internship program is very competitive and only selects twenty participants nation­wide. Luckily, I got a spectacular letter of rec­ommendation from Dr. Jonathan Benjamin-Al­varado who has been a great mentor to me." CHCI also provided housing and a bi-weekly stipend to support living expenses. "Being around high profile political figures was surreal for me," he adds. "I casually saw Senator Sanders at Union Station and got to have a short conversation with Representative Gutierrez. Overall, I got my foot in the door in Washington and learned more about the nuanced mechanisms of Congress. I was especially lucky to be in Representative Torres' office because of her exceptional reputation in Washington. The staffers in her office taught me how to be detail-oriented and humble." After working full-time in Washington, D.C. for the spring semester, Herndon headed to Durham, N.C., for an instensive five weeks at the Ralph Bunche Summer Institute at Duke University. Acceptance into the Bunche Institute is also highly competitive and only 20 students nation-wide are selected each year. According to the RBSI website, The program includes two courses -- "one in quantitative analysis and one in race and American politics – and a comprehensive introduction to the intellectual demands of graduate school and political science research methods. 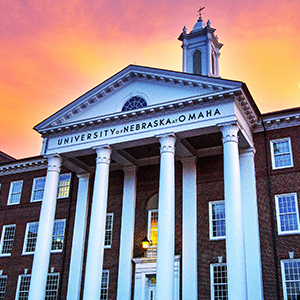 For a final project for both courses, students prepare original, empirical research papers; top students are given the opportunity to present their research at the American Political Science Association's Annual Meeting, all expenses paid."